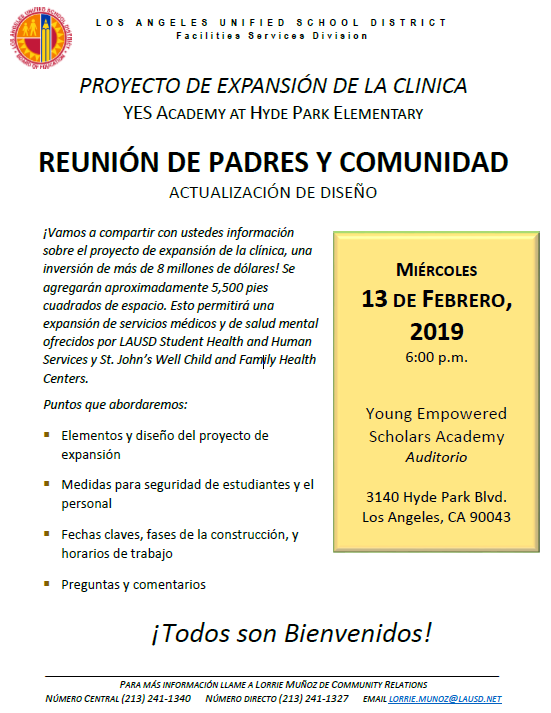 We will share with you information regarding the clinic expansion project, an 8 million dollar investment! Approximately 5,500 sq. ft. will be added to the existing clinic. 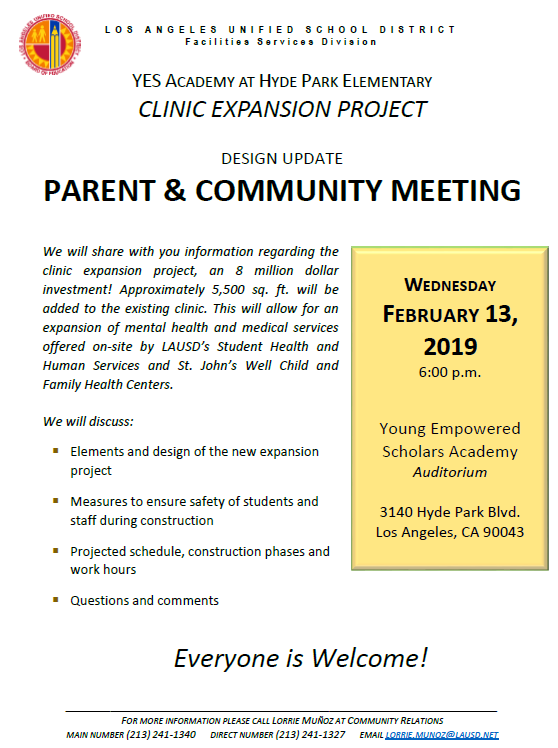 This will allow for an expansion of mental health and medical services offered on-site by LAUSD’s Student Health and Human Services and St. John’s Well Child and Family Health Centers.